Adter watching the 60 Minute special on John Green, I immediately downloaded this book. As a high school counselor, it has been instrumental in connecting with some emotionally charged students. Very impressed. Really get to put opaque to what is clear, but not clearly understiod. Thanks for being transparent John Green. Bless you. Wonderful book, I felt so captivated and involved with the story and characters. Narrator voice was pleasant and made it very easy to understand the personalities of each character. The narrator wasn't my favourite, but the book was excellent! 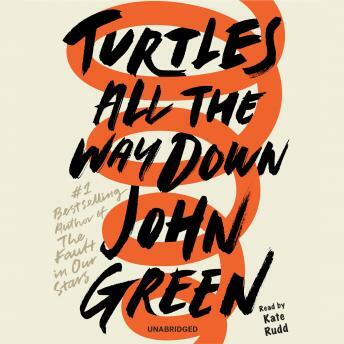 Maybe I just expect a lot from John Green, but overall, I was disappointed. The storyline was slow moving, and boring. I kept waiting for something to happen. It felt like non-stop description of anxiety/mental illness. Maybe that was his goal, but we didn't enjoy it.